An early Happy New Year to all of you out there! I imagine this will be my last post of 2014: I haven’t started a new book yet and I will be spending all of New Years Eve at Disneyland. It promises to be a fun (but quite exhausting) day and New Year’s itself will be spent watching football (Go Ducks!). Hope your holidays (if you celebrated) were lovely and that you all have a great 2015. So, without further ado, my final review of 2014: Lirael. New York Times bestseller Lirael is perfect for fans of epic fantasy like Game of Thrones. 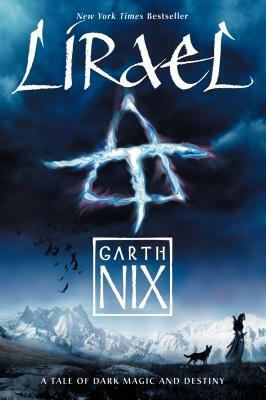 In this sequel to the critically acclaimed Sabriel, Garth Nix draws readers deeper into the magical landscape of the Old Kingdom. If Sabriel felt like it was a bit simplistic, Lirael feels closer to my beloved Clariel. It’s a tale of growing up and how crushing it can be when you aren’t what everyone expects you to be. In the first twenty pages of this book our protagonist was seriously contemplating suicide. It’s not the first time that the topic is brought up, and even at the end of the book, when she knows what her destiny is, the specter of that thought of what she should have been never fully leaves her, and she never does shake that sense that she is, in some way, a failure even though she really isn’t. Nix also gives us the flip side in Prince Sameth: as the son of the Abhorsen Sabriel, he’s naturally expected to be the Abhorsen-in-Waiting and that’s the absolute last thing he wants to be because he’s afraid of the Dead and Death, and can’t help but feel that he’s a disappointment to his parents for it, even as he’s afraid to mention to his mother just how unsuitable he is. These traits could make for a pair of unlikable characters. I found myself liking Lirael – despite her disappointments and her cutting herself off from the other Clayr to protect her heart from the disappointment, she teaches herself a great deal of Charter Magic and becomes a strong woman in her own right, even if she doesn’t necessarily see it. Sameth on the other hand just kind of grates. When both protagonists make comments about how much a whiner he is, it’s difficult to not see that for yourself. It doesn’t make him compelling, and quite honestly, his sections drag the rest of the book down and it feels like they go on longer than they actually do. Rounding out the characters are some of my favorites – his anthropomorphized ones – Mogget (who appears in every book) and the new character of the Disreputable Dog. Constructs of Free Magic (Mogget) and a mix of Free and Charter Magic (Dog) Nix has managed to infuse the creatures with genuine personality and concern (in their own ways) for the humans they travel with. I can’t really recall another series that does this, let alone does it so well. Mogget’s appearances in the latter parts of the book make sitting through Sameth’s parts worth while. Finally, though you can’t tell in the photo, the cover of Lirael (and all the paperbacks, really) have these lovely clear-embossed Charter Marks on them. It’s a lovely little touch and perhaps a sign of respect from the publishers that they’d spend the extra money to produce them, without significantly jacking up the cost of the book. Overall, Nix still does a lot of things right. The themes in this series still feel like they carry a greater weight than just about any YA fantasy and even a lot of adult titles. The world remains fantastic, and Lirael herself is a great character. But Sameth is a huge disappointment and that Abhorsen is a direct sequel that means he’s coming back does leave me a bit weary. I do already own Abhorsen and as I’ve already read the other three books in the series, I’ll definitely be checking it out. Push comes to shove you can do what I did and just kind of skim his parts. Merry Christmas to those who celebrate it, and happy Thursday to those who don’t! For Christmas Eve I decided to go check out Into the Woods and since the story is based on fairy tales, figured why not throw up a review of it? First and foremost, the cast was fantastic. While some of the singing wasn’t the best, it was pretty much contained to characters who didn’t have much to sing, most notably Johnny Depp, whose Wolf was little more than a cameo, but on a whole the cast was very solid and I never had an immersion break because of bad vocals. Chris Pine’s voice was an especially pleasant discovery. I’ve seen him on stage before (I actually prefer him on stage than on screen) and now I’d love to see him tackle a stage musical – it was that good. Emily Blunt has justly been getting praised and James Corden was a wonderful Baker. Props all around. It’s such a relief that they cast people who could sing as Broadway intends you to and act, as opposed to trying to teach actors how to sing (as in Sweeney Todd). More productions need to do this. Also top notch are the visuals, including the costumes and the sets. It feels likes a fairy tale. Some may complain that it’s a bit-stagey in costuming because the clothing changes are very minimalistic, but I personally didn’t find it a distraction and I don’t think most audiences should either. As for the music, it’s Sondheim. The prologue (“Into the Woods”) is very hummable, and “Agony” may get stuck in your head, but this isn’t a show that you’re going to sing along to. That simply isn’t the composer’s style. There aren’t any real reprises either – the one reprise (ironically the first one ever used in his shows) was actually cut from the film for length – so you’re not going to have songs repeated again and again, though there are certainly motifs that do run throughout the show if you’re observant. Finally, if there is a complaint I do have is that the pacing is slow. Again, it’s very Sondheim. It just doesn’t work quite as well here because fairy tales usually call for something a bit more brisk. Though the show’s running time was cut significantly (from 2 hours 40 to 2 hours 4) it does feel a little long. It doesn’t really feel like they should have cut any of the songs, I think it’s just the nature of the storytelling. For what its worth, there were a couple of people at my show who fell asleep . It may also be a bit dark for younger kids. There were three significant deaths (not counting a pair of giants) and let’s just say the fate Cinderella’s step-sisters is very much in line with the original fairy tale. That said, the violence is implied and mainly handled off-screen so that shouldn’t be too much a concern for parents. From what I understand, Depp’s Wolf was toned down, but there still some legitimately creepy undertones there as well. The film did earn it’s PG rating though, and I probably wouldn’t show it to kids under the age of 9 or 10. Between the slower pacing, the lack of real up-beat songs, and some of the themes, younger kids might get antsy and/or scared. It’s something to keep in mind because the trailers don’t attest to the darker aspects of the show. Overall, I enjoyed the film and I think musical fans will as well. The general audience may be a little more iffy, if only because Sondheim isn’t the most accessible composer. I personally love that about him, but I can see how that might be a turn off for others. If you’re a musical fan, you’ll enjoy yourself for sure and it’s worth paying full price. If you’re seeing it for any other reason – the cast or the story – you may want to stick to a bargain matinee in case it isn’t your cuppa. Choose: A quick death and hell or slow poison and hell. About to be executed for murder, Yelena is offered an extraordinary reprieve. She’ll eat the best meals, have rooms in the palace and risk assassination by anyone trying to kill the Commander of Ixia. And so Yelena chooses to become a food taster. But the chief of security, leaving nothing to chance, deliberately feeds her Butterfly’s Dust and only by appearing for her daily antidote will she delay an agonizing death from the poison. As Yelena tries to escape her new dilemma, disasters keep mounting. Rebels plot to seize Ixia and Yelena develops magical powers she can’t control. Her life is threatened again and choices must be made. But this time the outcomes aren’t so clear. 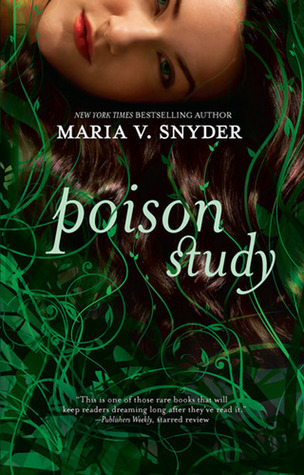 Poison Study is decent older (2005!) YA novel. And that’s really all that can be said about it. Our heroine is plucky, she has determination and a will to live. She gets threatened, she learns to protect herself. A plot is a foot, she works to stop it. 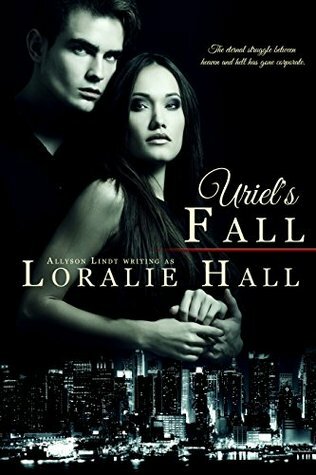 She starts to fall for Valex, he (eventually) starts to fall for her because YA books demand it. Oh, and she develops magic. Because you have to make this a series somehow. Honestly, I liked this book best when she was watching what was going on around her, but before she started getting the extra powers. The next few books in the series she more or less becomes the Special Snowflake who is more powerful than most and just yeah. Maybe the series should get some credit for doing it before most, but it doesn’t change the fact that this book isn’t unique once you get past the interesting set up. It was a quick and easy read, and I enjoyed it enough to finish it in a few hours. Fans of YA would likely enjoy it. Personally speaking though, I didn’t find Yelena to be interesting enough to press on with the series, and in all likelihood, I’m not going to remember that I read it – there’s just isn’t enough there to make it worth remembering. YA bloggers started going crazy for this book. Bloggers whom, to my knowledge at least, pretty much never read adult fantasy and yet were gushing over it and recommending it to whomever they could. I’ve even see copies turn up in some of the book-related Secret Santa giveaways floating around. To say I was surprised was a bit of an understand. It started to make more sense when I discovered the publisher did a relaunch with a cover intended specifically for the YA crowd. Still, just because you give it a YA-friendly cover isn’t enough to win them over, so I decided to give this one a shot. And ultimately, I come to this review mixed. On the one hand, I absolutely understand why the YA crowd loves this: it fills what I feel is a very real void in YA fantasy. It manages to combine both a well-crafted novel, an interesting magic system and likable characters with the YA tropes of Plucky Young Heroine with a dash of romance and yet no dreaded love triangle. 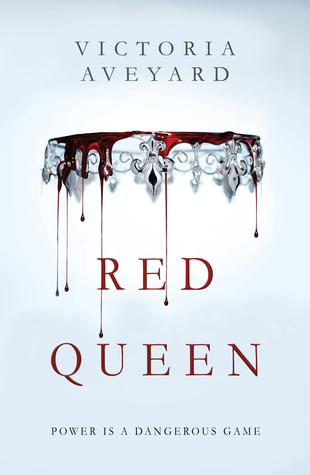 While I’m not entirely sold on the romance, it’s still miles above what you see in most YA books and I can say with certainty that this better than most of anything put out in the last year in the fantasy YA genre – and proof that YA is just a moniker and that a good fantasy title can easily crossover. 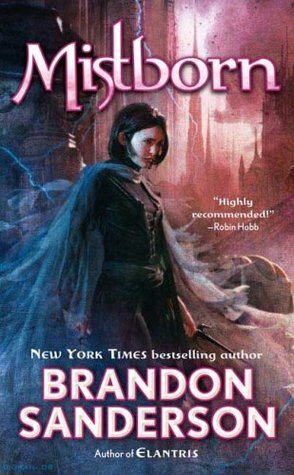 Mistborn is not bad, it is objectively good. But in a year when City of Stairs showed us what fantasy can be, it decidedly feels stale. And there’s a reason my reaction didn’t change: if you’ve read any decent amount of epic fantasy, you’ve read this book before. If you take out the Allomancy you’re left with a pretty basic story of Plucky Rebels Look to Dethrone Evil Against All Odds. This basic story has been told a million times over – Star Wars anyone? And even with Allomancy, Sanderson doesn’t do anything new with this story. The magic just gives the story an extra bit of gloss. Don’t get me wrong, I’m happy to recommend this book and I’m going to recommend this book – to YA fans, to fans dipping their toes into fantasy for the first time or fans of more traditional fare. And there will always be room for these kinds of books on our shelves, and if you’re going to read something traditional you should read something this good. And yet, But when books like City of Stairs or Goblin Emperor or The Waking Engine or even The Mirror Empire dare to push boundaries and try and do something different with a genre that hasn’t changed all that much since Lord of the Rings it makes me want to see more authors do the same. Mistborn helped establish Sanderson, and clearly has helped give him the freedom to let his creativity fly (seriously, check out The Rithmatist. It’s still one of my top three all time favorite magic systems I’ve read). Of his many projects, the fifth book in this series (it’s actually a two trilogy series) is next up on his to-do. I just hope that one day soon we can see him take that creativity he’s displayed in his YA titles and create something just as special for adults. In the mean time, this is a good read, and it’s an accessible read. If you’re looking for a good place to start with Sanderson, this is probably as good as any.